There are nerves in the office. A substantial number of staff are all on holiday. But it’s not the extra workload that’s worrying us – it’s the wellbeing of our absent colleagues. It’s a heady concoction of injury potential that’s scattered around the globe right now. Amanda is snowboarding. We’re pretty sure she’s already dislocated her shoulder and fractured her wrist. Or maybe her fingers. We’re also pretty sure she’s still snow boarding. Mark is also snowboarding. We don’t think he’s broken anything other than his snow board, but his last update said he was the ‘least injured’ of the holiday party. So we’re assuming he at least has a bruised bum. Andi seems to be looking at bikes and cars rather than doing anything too wild in or on them, but there’s time yet for some acts of folly, we’re sure. And Ross…well…Ross has only just got off the plane, but at least he’s managed that. As far as we’re aware, no wheels were buckled. The rest of us await their return. 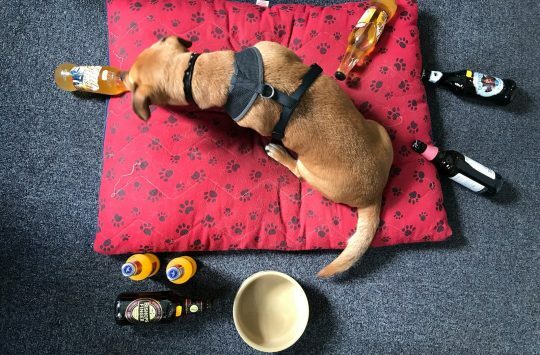 In the event that they enter the office safely, we’re going to have to clear the routes to their desks of trip hazards – there have been quite a lot of deliveries this week. So many in fact, that some things are going to have to wait until next time. But for now, here we go… Fresh Goods Friday 431! This is the bigger travelled version in the line up. 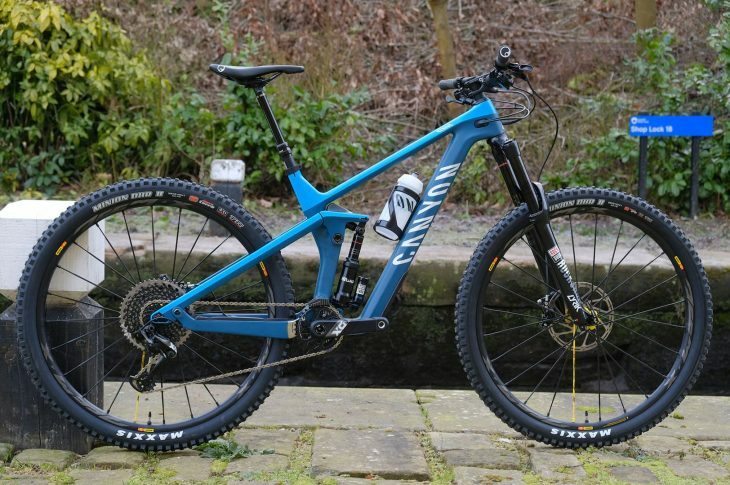 This week’s big bike launch was the new Strive from Canyon. Andi has been out in Malaga checking it out and his review is here. We’ll be getting this one dirty soon enough, just as soon as we’ve finished thumb wrestling to see who gets to test it. This is the EWS ready model, which comes with slightly altered angles and 10mm more travel in the fork at 170mm. The shock has 150mm travel across the range, and all Strives are now in 29in wheel size only. Shapershifter v2.0 is all new for this year. As well as wheel size, the other big change for the new Strive is the introduction of the new Shapeshifter 2.0, which allows on the fly switching between a firmer shorter XC mode, and a bigger bouncier DH mode. 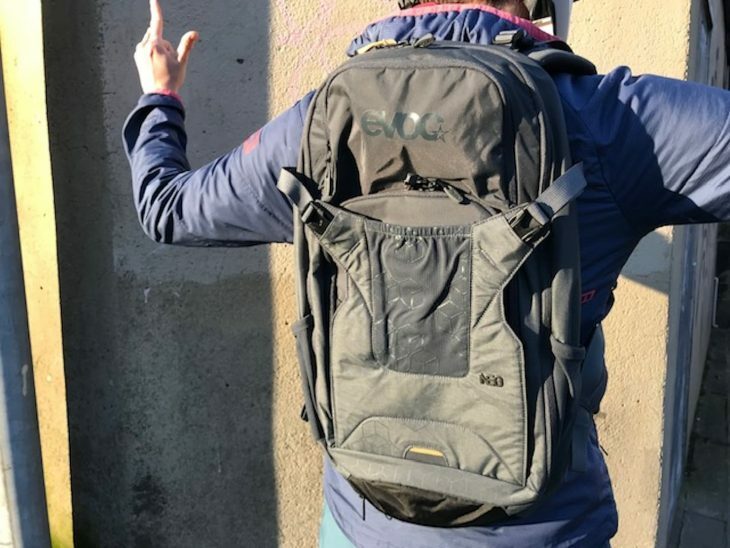 For all the details on the new Strive, check out our video here. 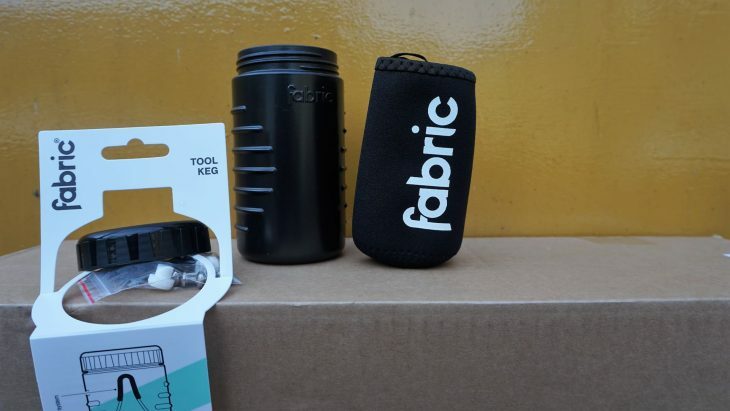 A handy dandy keg for your everyday carry tools. Features easy on/easy off cleated attachment method and a neoprene sack within. 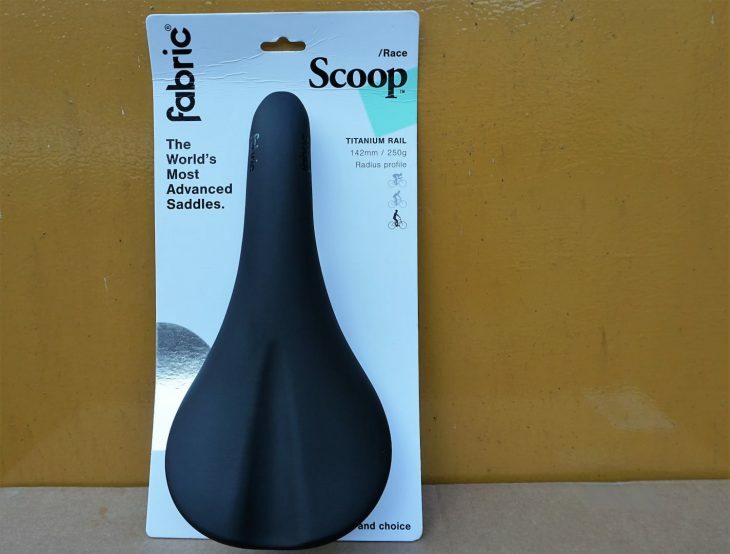 This is a smooth lookin’ saddle, one iteration of Fabric’s well populated Scoop family. This particular Scoop features titanium rails and a 142mm width for a nice sit up and take in the views position whilst you maximise your efforts and race on in comfort! 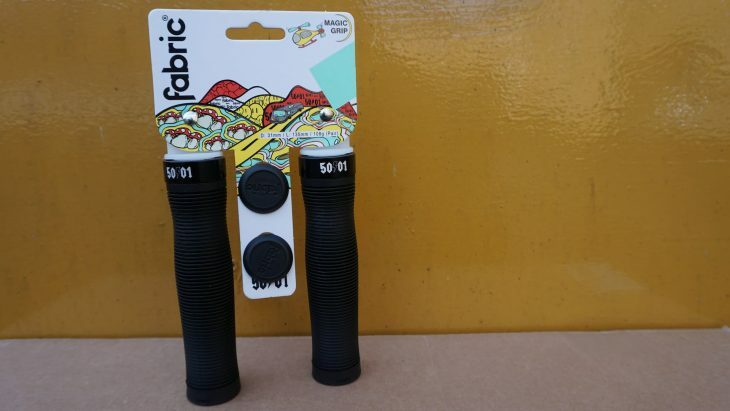 Magical grips that feature a varying diameter ribbed design. Made from just the ticket for comfort 30a durometer rubber. They stay put with a single clamp and end plugs are included. One for each hand. Plenty to hold on to. 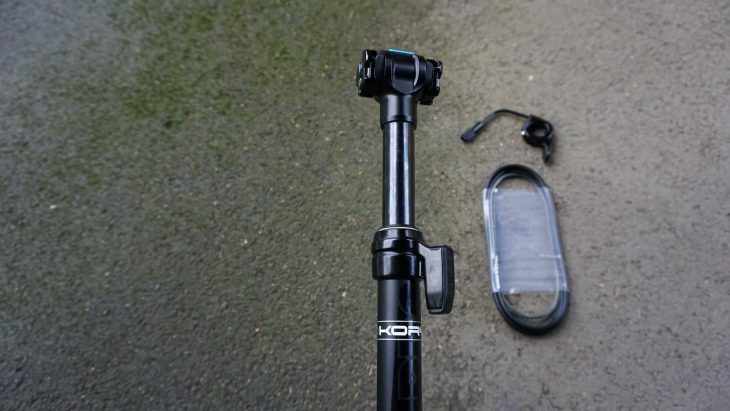 This up ‘n’ down seatpost is for good old 27.2mm diameter seatposts. 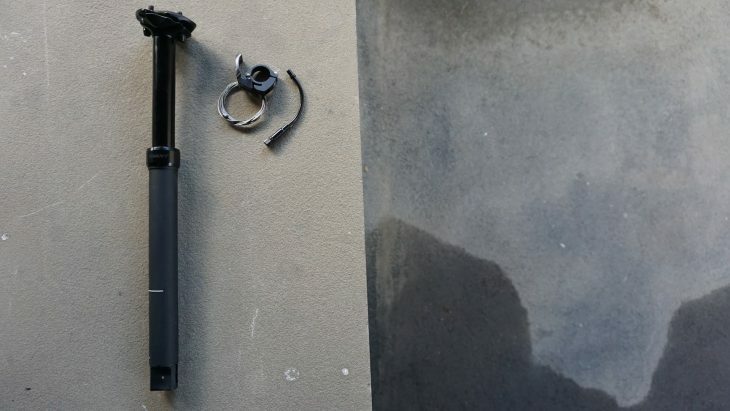 So if you want to drop it and you have a skinny seat tube you’re in luck! Cable operated. Externally routed. 70mm drop. Need a little rest from reading words? Check out Wil’s latest video from down under, where things are a little sweaty. 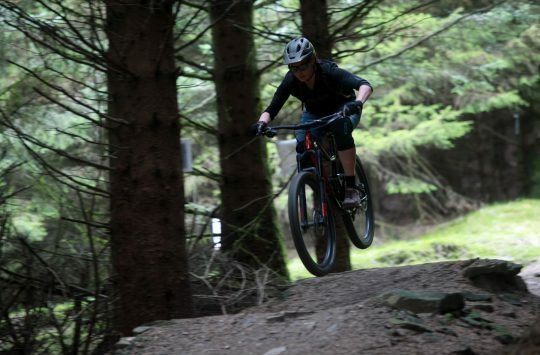 This dropper is going on Amanda’s Liv Intrigue test bike – it’s a bit longer than the one it comes supplied with, and Amanda is hoping that this is going to make her shred even harder. Best get back in one piece then, eh Panda? Lord Vader, we are ready to brap. 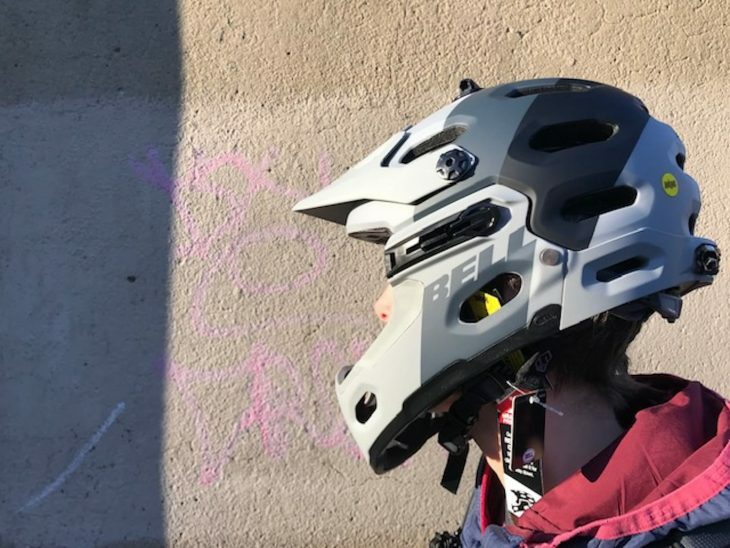 A touch lighter than Andi’s Editor’s Choice Super DH MIPS helmet, this MIPS equipped helmet with removable chin bar is designed for trail riding. With 23 vents in the helmet and six more in the chin bar, it should be suitable for pedalling and plummeting. Having recently narrowly avoided expensive dental work after a face first crash, Hannah will be putting this to the test. Hopefully not in too much of a crashy way. Hannah will freely admit to being a bit crashy, but insists that it’s because she’s trying hard. Consequently she’s quite a fan of protection, and this back pack has a built in back protector as well as 16 litres of sandwich carrying capacity. Or indeed that chin bar, when she’s not using it. And a pump. And tube. And tools. And a first aid kit. And maybe an extra sandwich. Comes with a free crash replacement option, which Hannah is hoping not to need. Two sections, with an 80/20 split. A roller bag for travelling the world with. 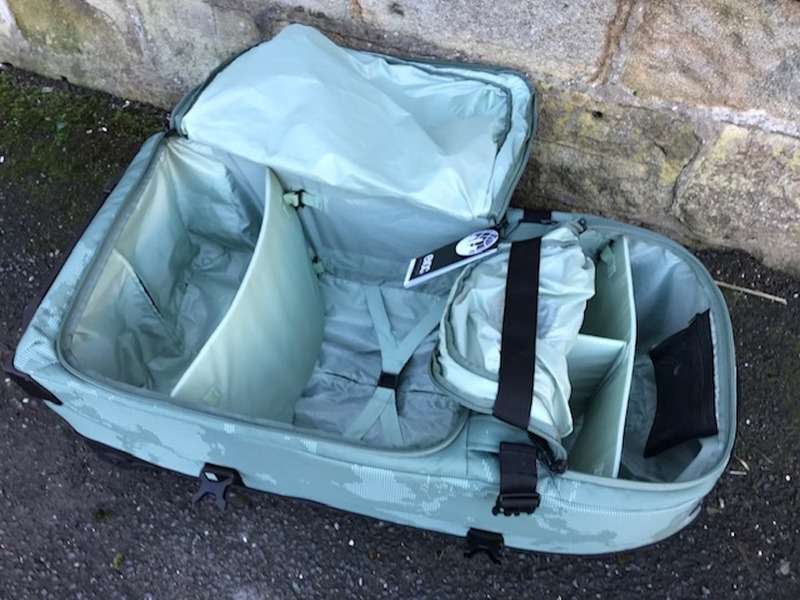 Removable inner sections allow you to divide your kit up. Presumably as you travel the world, this means you can put your stinky washing well away from your clean knickers. Or maybe it’s to keep your ride kit neatly organised so you can be ready in seconds to ride any trail you might spot. Looks to be about big enough for all you might need. Probably isn’t big enough for all you think you need. Yes, we want to know if we can fit a child in there too. The answer is yes, you can. 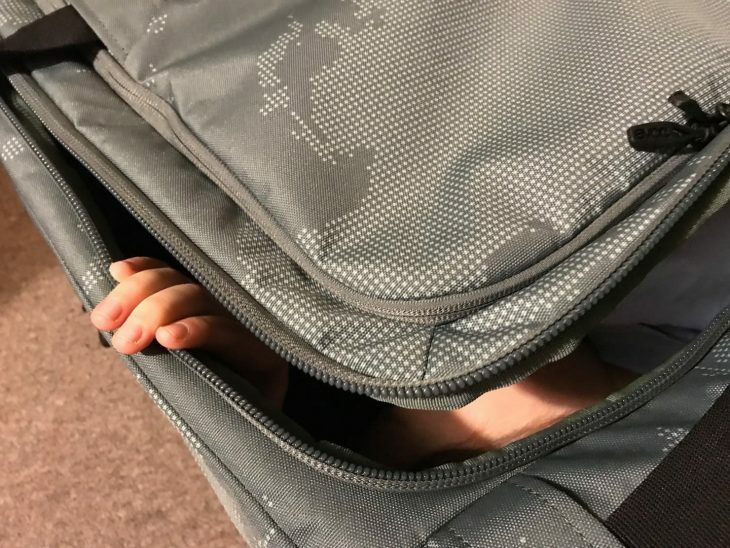 One 8 year fits in the main compartment. We wish the sky was this colour. It’s not especially glamorous, but we all need to clean and lube our bikes. Unless you have a belt drive. But hey, there’s always one. 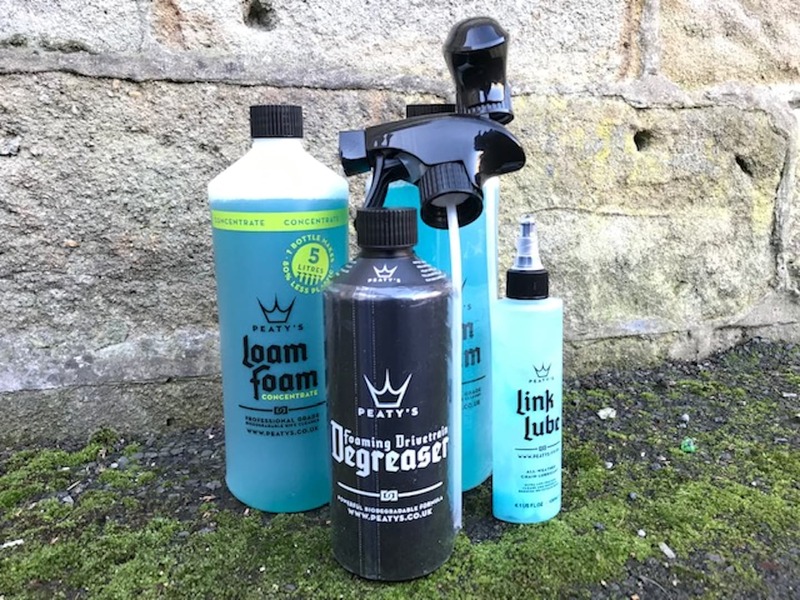 The Loam Foam concentrate will make five litres of Loam Foam. It’s all biodegradable, and blue, and we haven’t sniffed it so we don’t know what it smells like. Mint? Blueberry? That weird blue raspberry stuff that slushies are made of? 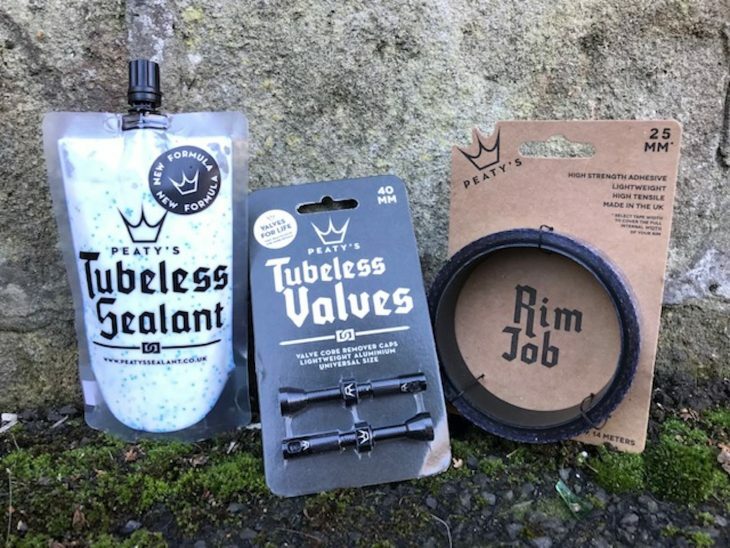 Sealant for sealing your tyres, tape for taping your rims (available in a variety of widths), and valves for valving your holes. The valve caps have built in core removers. Apparently the tape sticks like ‘s**t to a blanket’. Perhaps those with small children can confirm whether this is a good thing? Grey. Hannah’s favourite colour. Only these are about 5 sizes to big for her little flippers. Waterproof flat pedal hi-top shoes! 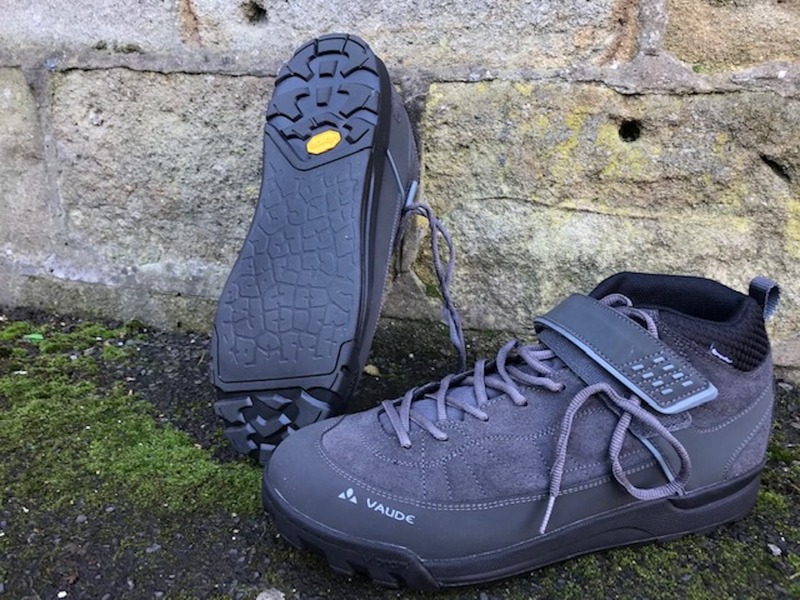 Hannah reviewed an early edition of these and was pleasantly impressed, but these new ones have had an update and promise a stickier sole. 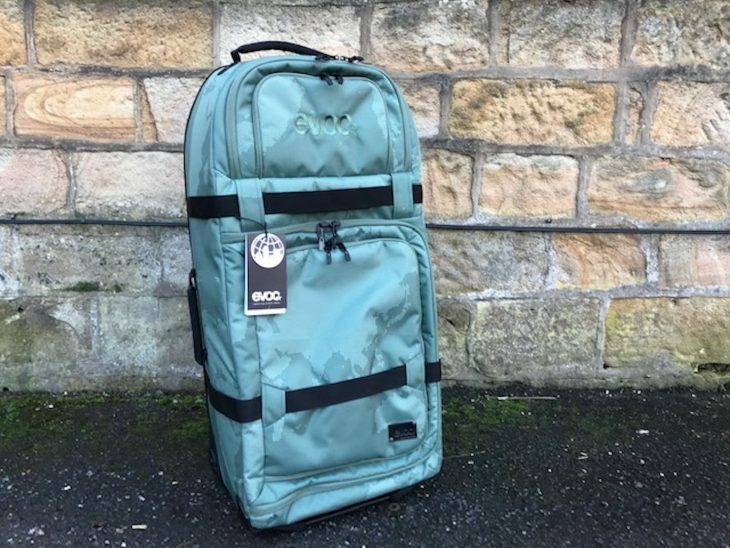 They’re available in two colours, and, as with all Vaude products, they’ve got a host of environmentally friendly features. 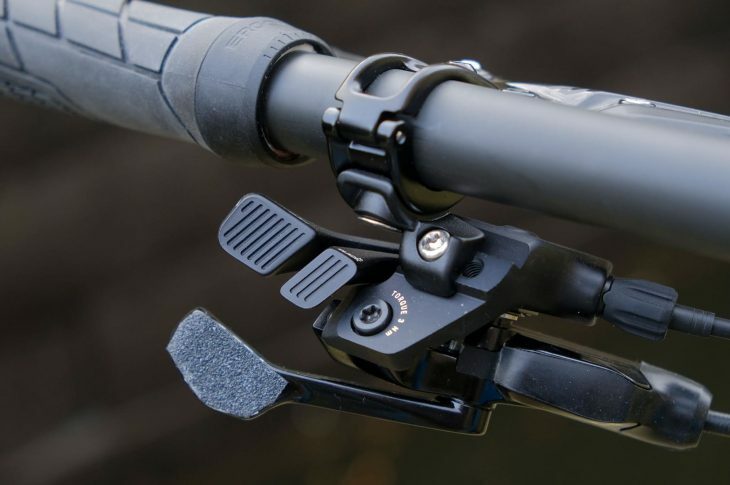 Grip sections at the heel and toe should stop you slip sliding away off the bike. Coffee for go & a dram for when you’ve stopped. 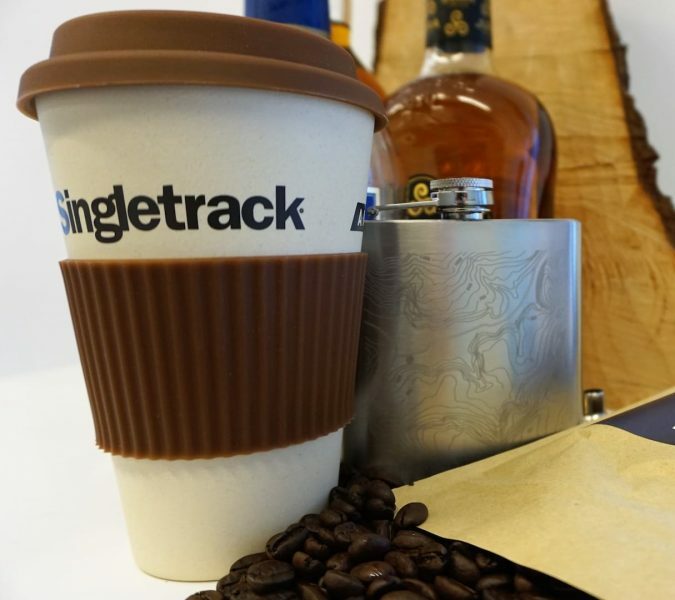 How about a nice to go cup of coffee for slurpin’ and a stainless steel hip flask (that’s been engraved with a frickin’ laser) to keep something nice for sippin’ in. 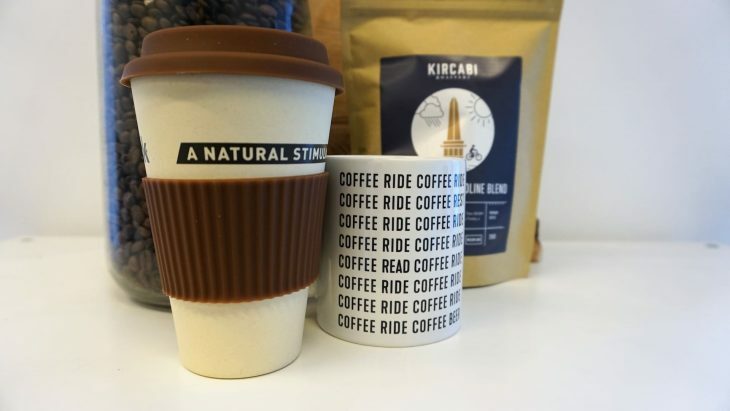 This bundle of bamboo coffee cup + contour lines hip flask is just the thing for keeping caffeinated on the go and taking a wee dram with you. This is a great combo for keeping warm & toasty. Beanie hat + sweatshirt = great deal winter warmer bundle. 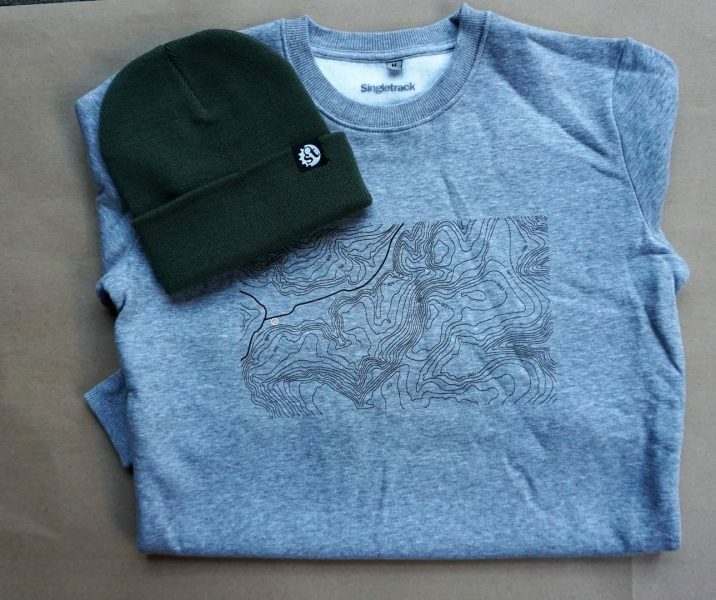 The contour lines sweatshirt is soft and cosy. There’s a choice of heather oatmeal, plum, olive green (shown) or charcoal grey beanie hat. Drinking vessel bundles & winter warmer clothing bundles will save you lots of cash over individually priced items. Yay! Well, off we go into the weekend. Here’s a song that contains a lot of good safety advice. You know who you are…we’re looking at you. With a meaningfully raised eyebrow, mum style. See you on the other side, in the same number of pieces as you are in now, but with more smiles. I remember seeing Airlines at the (I think?) Malvern Classic years ago and thinking it was THE FUTURE! We can glue a china handle on to a bamboo mug if if you want, Tim. We did do a lovely tea mug a few years ago, I’ll see if we can find one in the archives to clone. Peaty’s sealant is like PVA mixed with glitter. If you’re into Disney and like flat tyres then fill yer boots. Else, avoid. Logged in and being asked to log in. Any idea why the top of the arcticle tells me I need to log in to see it… when I’m already logged in ? 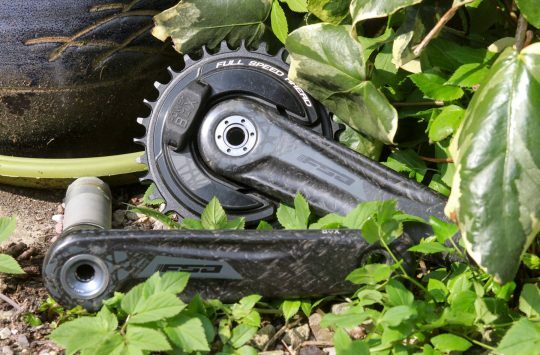 Peaty’s valves are made of aluminium which must save a gram, maybe 3. But also means they’re fragile and break. A riding buddy has had both front and rear snap in 4 months. One when pumping the tyre, the second whilst ‘just riding along’ (maybe caught a stick or something). A cap that doubles as a core removed isn’t a bad idea but making the valve out of aluminium definitely is.